Every life tells a story. When we're going through the routine of our day, we can sometimes forget that the life that we live is an ongoing account of us as people, and ultimately our story. On tombstones, there's that dash between the year of our birth and the year that we passed away. The dates are like bookends to that dash in the middle that represents the time in which we lived. We all hope that that dash has held its share of joys, accomplishments, and highlights as we've inevitably experienced sorrows along the way too. Every life tells a story and I'm always fascinated to learn about how other people live or have lived. I thoroughly enjoy watching documentaries and reading books about the lives of different people, whether they lived a celebrated life or not. It's always interesting for me when I get to experience times past through the eyes of those who were there. 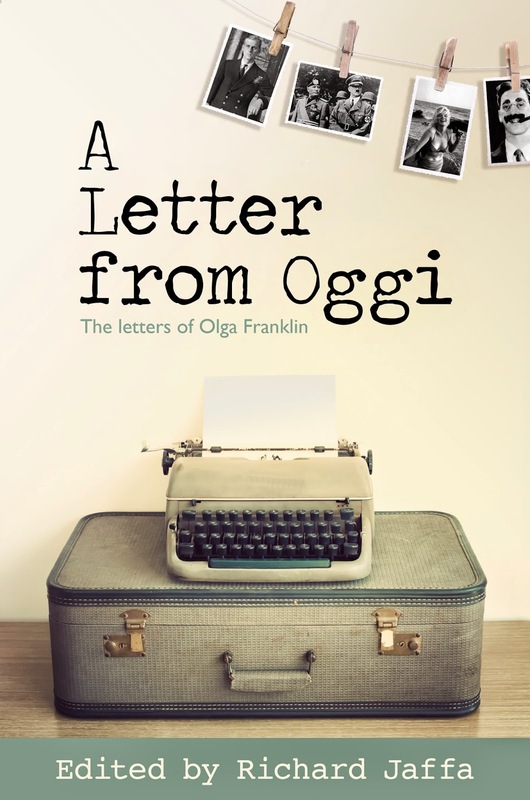 Recently, I've been given the opportunity to read an interesting new book called A Letter from Oggi: The Letters of Olga Franklin. It's a sharp and witty collection of letters from the journalist Olga Franklin. She was a fascinating woman. The letters were written to her sister Beryl between 1932 and 1965. Olga Franklin was a journalist for the Daily Sketch and Daily Mail and through her work she documented a great deal of the first half of the twentieth century. The contrast between her life as a journalist in the thick of the Fleet Street newspaper world and the sisterly world of her letters was fascinating to me. It reminded me that we all wear many hats in life and yet all of those ways that we show up in the world come together to make us into who we are. Within the pages of this intriguing book, through the letters that Olga writes to Beryl, readers are treated to stories of the journalist's adventures around the world. She travels from Warsaw in the days before the Nazi invasion to Moscow following Stalin's death, and on to many other experiences during this chapter in her extraordinary life. Olga also crossed paths with many of the figures in popular culture such as Marilyn Monroe and Groucho Marx, just to name a couple. There is also a wonderful account of her meeting Prince Philip and being startled by how handsome he was as a young man. Olga's nephew Richard Jaffa has edited A Letter from Oggi: The Letters of Olga Franklin and has pulled together a wonderful tribute to his aunt. He has worked as a journalist himself and also as a solicitor. He has done a fine job at presenting his aunt's letters as they tell the story of this part of her life. For me, this book is a celebration of life. A Letter from Oggi: The Letters of Olga Franklin will be released on April 30th. You can find out more about the book and also purchase it here. Dori, that sounds like a fascinating book. I, too, appreciate books that recount the lives of "ordinary" people. Another one for my list!